One of my favorite things in the world is really overly specific things. For instance, planning your Friday night and specifically not wanting to watch any movies directed by Ron Howard or with a cameo by his brother. Or, wanting to be curled up on the couch, eating Indian food, while watching a marathon of Three's Company on a medium volume with the thermostat set to 68 degrees under a plush blanket. 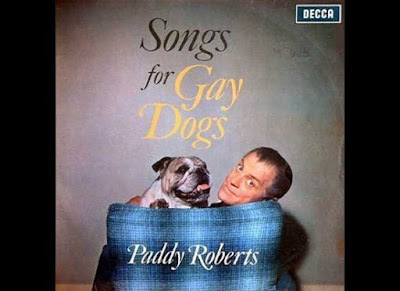 So naturally, I was immediately attracted to this album cover from this Huffting Post article. Because what self-respecting K-9 Queen wants to listen to Hip Hop or dogs for cats? !